During this year’s Milan Design Week Swedish furniture maker IKEA rolled out a bunch of bright-colored tables, chairs, and other pieces of furniture. But perhaps the most interesting product IKEA unveiled in Milan was found in a press kit. 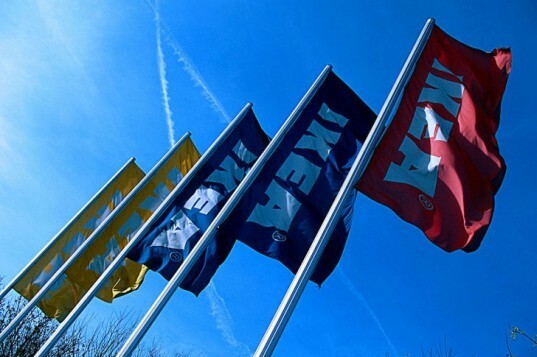 According to Gizmodo, at Milan’s Salone design show IKEA distributed a press kit that doubles as a digital camera made of cardboard (which will soon be released). The camera runs on a pair of AA batteries, and can reportedly hold up to 40 images on its built-in memory stick. What makes this camera unusual is that it’s both digital and made of cardboard. A camera body made of cardboard usually suggests that it’s disposable – we grew up using disposable cardboard film cameras, and we still find them at our place-settings at weddings. But as Jaymi Heimbuch at TreeHugger points out, because this camera is digital, you should be able to clear its memory and reuse it (although we don’t actually know whether it’s reusable). If that were the case, why would you want the body to be made of cardboard? So many questions. Although the camera looks fun, it’s difficult to get excited about yet another disposable product from a company that’s often criticized for producing less than stellar stuff. The camera can be synced with a computer via the USB that swings out from its side, according to Gizmodo. The price and release date for the cardboard camera haven’t been announced yet. During this year's Milan Design Week Swedish furniture maker IKEA rolled out a bunch of bright-colored tables, chairs, and other pieces of furniture. But perhaps the most interesting product IKEA unveiled in Milan was found in a press kit. 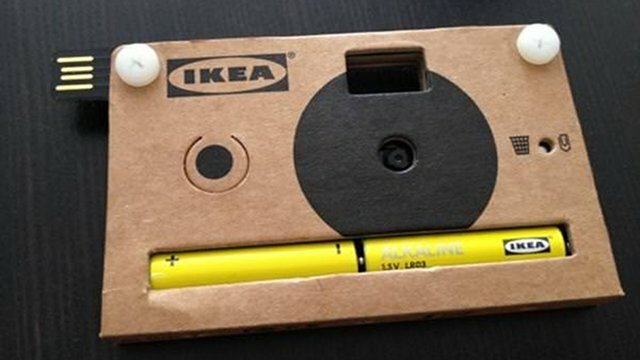 According to Gizmodo, at Milan's Salone design show IKEA distributed a press kit that doubles as a digital camera made of cardboard (which will soon be released). The camera runs on a pair of AA batteries, and can reportedly hold up to 40 images on its built-in memory stick.